wonders will never cease. 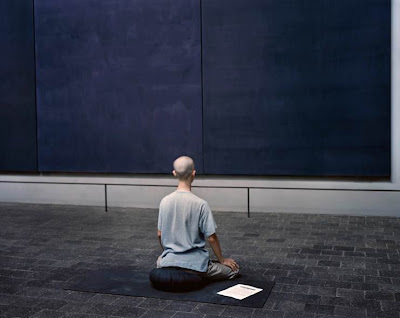 : the rothko chapel. in 2011, the rothko chapel will turn 40. if you've not been to visit, you are missing out on a remarkable and beautiful experience. if you've got friends or family coming to houston for the upcoming holiday season, maybe put this down on your TO DO list. the RC is open every single day of the year (including holidays) and admission is FREE (donations are welcome). hours are 10am – 6pm daily. 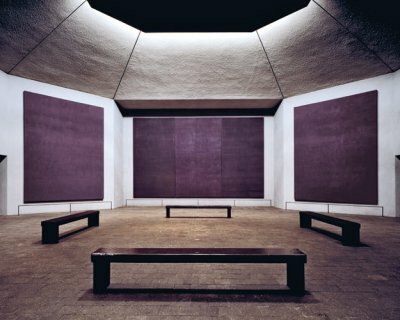 for all you lovebirds out there, the rothko chapel is also available for weddings. from their website: In 2011 the Chapel will celebrate its fortieth anniversary, having achieved, in those years, recognition as one of the greatest artistic achievements of the second half of the twentieth century. In 2001 the Chapel was listed in the National Register of Historic Places, an honor awarded before the institution was fifty years old. The Chapel regularly makes top ten lists of places to visit, and is a featured entry in National Geographic's book Sacred Places of a Lifetime: 500 of the World's Most Peaceful and Powerful Destinations, published in 2009.